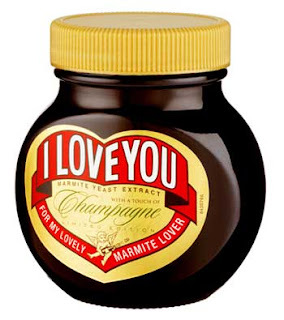 Marmite have launched a limited edition flavour for Valentines day, they’ve added champagne to the brown stuff. You either love it or you hate it. Well, I used to hate it, now I love it and hate it. I still hate the taste, texture and smell but I have always been fond of the packaging and witty advertising. Where the traditional packaging held the branding, the limited edition packaging contains those three words, “I LOVE YOU”. I haven’t tasted, and I will not. However, the packaging is a winner and that’s more than enough for me.